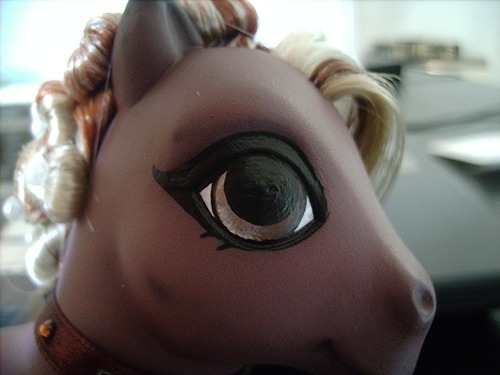 Symbols and eyes are the crowning glory to a custom pony. 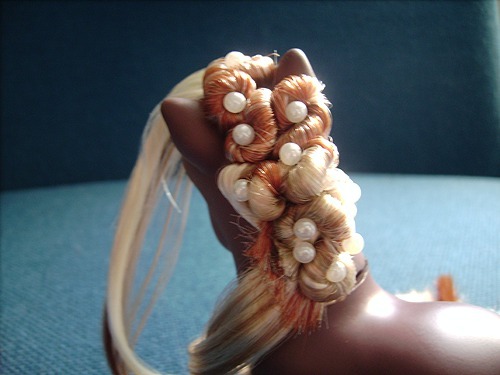 While a wonderfully rehaired and styled pony is beautiful, it is no where near finished and needs those finishing touches to really make it unique. First of all, think carefully about what you want your symbol to be. 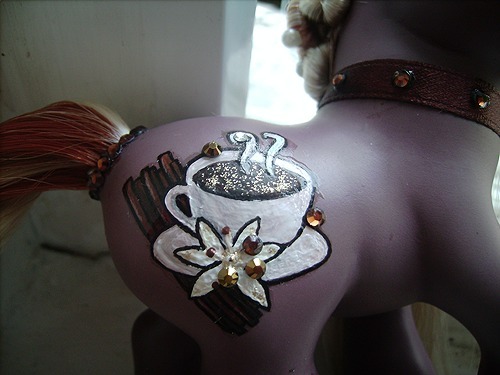 Usually you already know what you want your finished pony to look like and thus have a symbol idea already in mind. 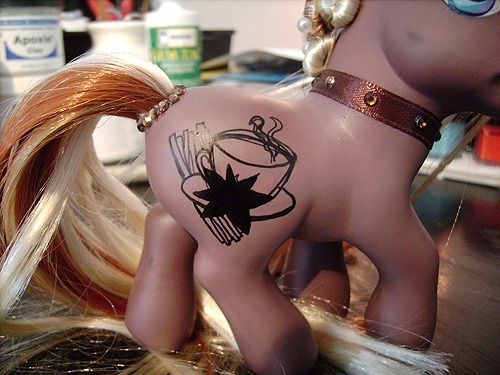 But sometimes custom ponies just evolve without you thinking about it! But, if you make the symbol up as you go along you are prone to make mistakes and be disappointed with the overall look – it’s much better to plan! 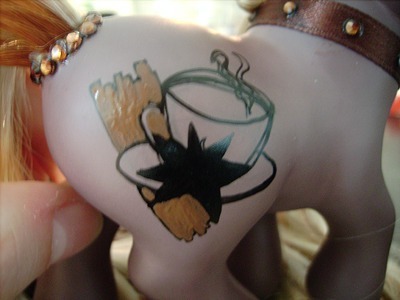 Now that you have your symbol down on paper, you need to transfer it onto the pony! 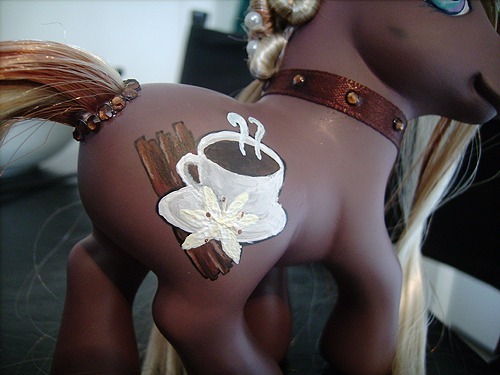 What I find to be the easiest way of doing this is to literally draw the design straight onto the pony. 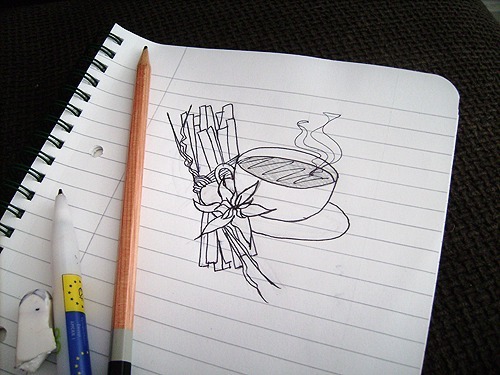 First I use a pencil to lightly draw out the design. When I’m happy with it, I go over those lines carefully with a thin, black ink pen – you will be painting over these lines later so it doesn’t matter if the lines aren’t perfect, but still be careful just in case; you don’t want to make a mess that needs cleaning up with acetone later. 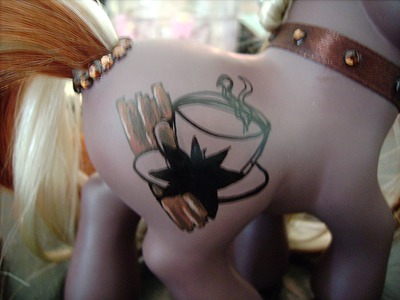 Your pony has it’s symbol lineart in place. All that needs doing now is to paint it! 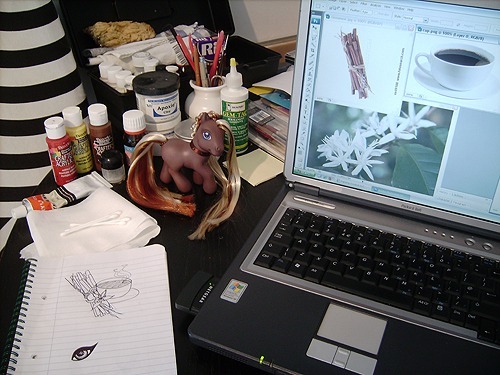 Make sure your sketch and the original image is nearby so you can work from them. 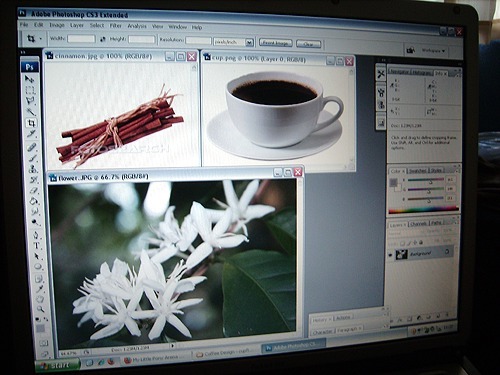 I’ll start off with the image at the very back – the cinnamon. Start off with a few thin layers of flat color. This will give you a good base to work from when painting in shadows and highlights. Once you have got a good base coverage, look at your image. Where do the shadows and highlights fall? Basically, all you need to do is copy that image as closely as possible but bear in mind that the other objects in your picture effect the fall of the light too, light that won’t necessarily be present in your original image. The symbol is nearly finished, but at the moment it lacks that extra definition. This is where your black lines come in. Some people paint these with a very fine and thin paint brush and black paint. However in this instance, I am going to use my pen from before (what you use is personal preference). Whatever you use, draw your lines carefully! This time, you can’t really afford to make mistakes since it means you will have to repaint where you made that mistake – a royal pain! Only put your lines where you think they need to be – the beauty of paint is that a lot of the time, depending on where your painted highlights and shadows fall, you don’t need to define the image with black lines. And there we have it! 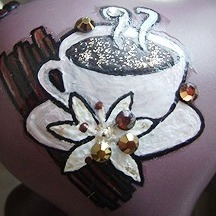 Need to paint eyes?